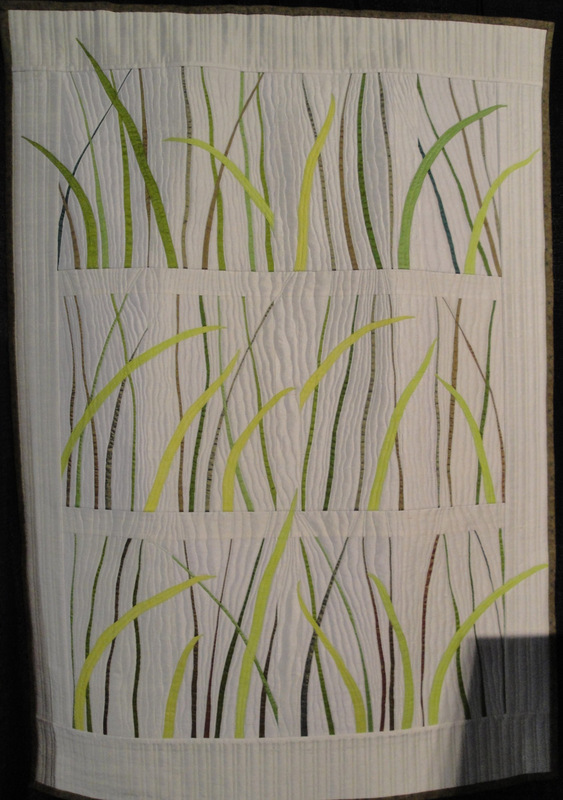 "Lemon Grass" by Cynthia Vogt. 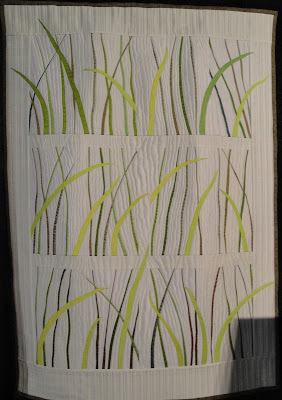 I love how simple, yet elegant, this quilt is. Inspired by daydreams of warmer weather and a few cups of lemon grass tea, bright green is an awesome cure for winter's gray. 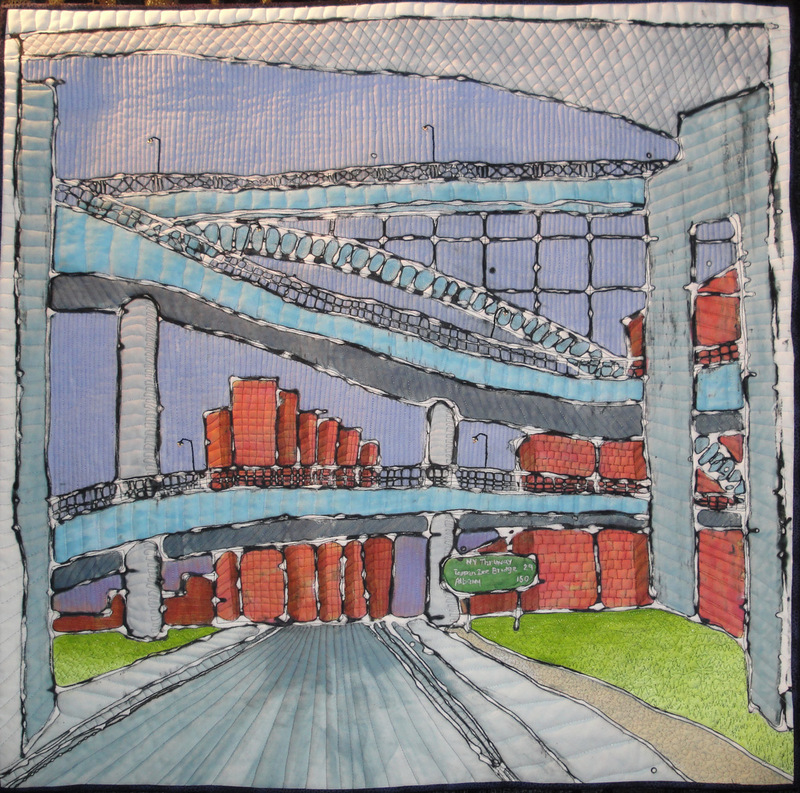 "Major Deegan Expressway" by K. Velis Turan. I've always wanted to do a freeway quilt. There's something beautiful about all that curving concrete. I am always noticing the negative space that bridges leave in the sky. The section of the Major Deegan Expressway that I portray in this piece tries to capture the excitement of the structure without the traffic. 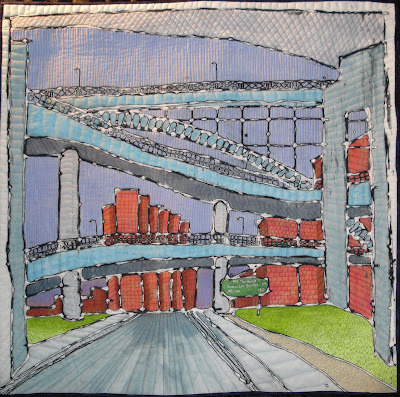 This piece was created because every time we go through this intersection (Cross Bronx Expressway) I am inspired by the colors of the bridges and the buildings, the shadows and light, the textures of the materials and the overall design of the space. I have tried to replicate the feeling of this experience in this piece. There seems to be constant construction and building all around. While many people travel and live in this area, I hope they will look at it now and see what they have never seen before. "The Merchant's House" by Ruth Powers. This one is just way, way cool for all the texture and attention to detail. I took about 100 close-up shots of all the different building exteriors, landscaping and scenery. 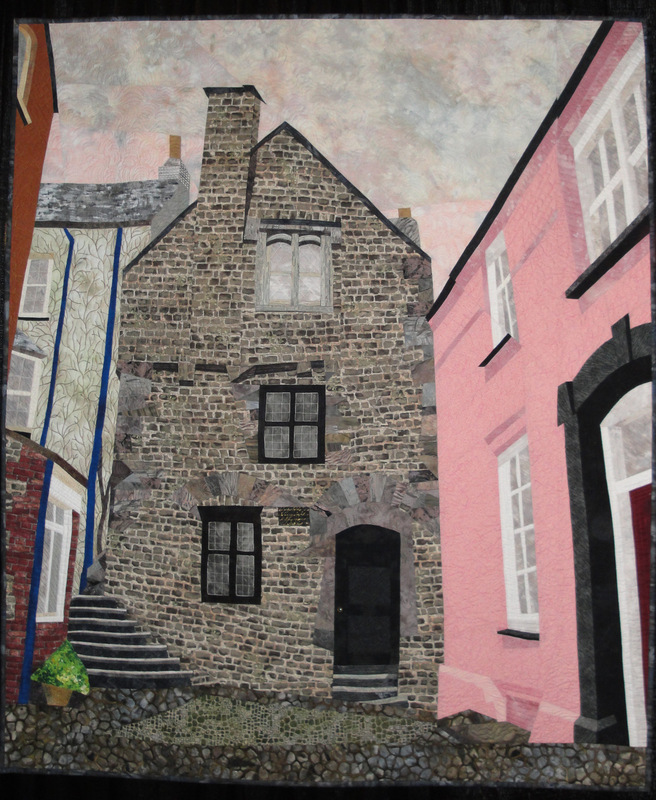 The Merchant's House, the gray building, is in the walled village of Tenby in Wales. Coming down the stairs at the left, I was struck by the vivid pink building that so perfectly accented the Merchant's House in the center, and knew it would be perfect for Tactile Architecture.